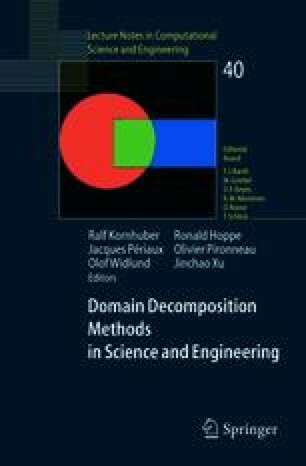 The standard local defect correction (LDC) method has been extended to include multilevel adaptive gridding, domain decomposition, and regridding. The domain decomposition algorithm provides a natural route for parallelization by employing many small tensor-product grids, rather than a single large unstructured grid. The algorithm is applied to a laminar Bunsen flame with one-step chemistry.